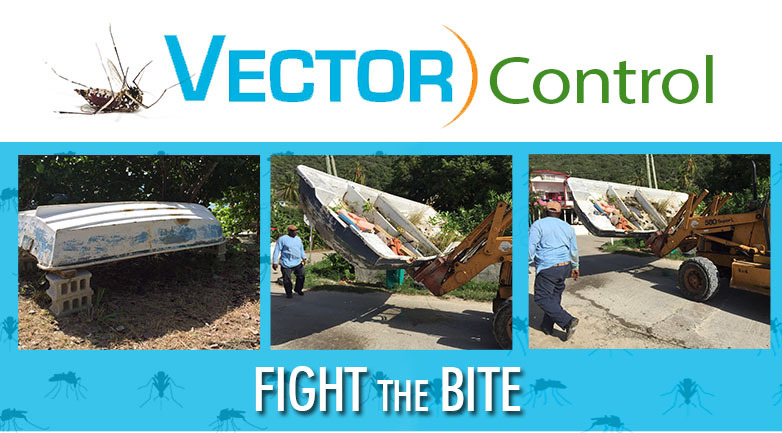 The Jost Van Dyke community is doing its part to reduce mosquito breeding sites on the island to control the spread of vector borne illnesses like Chikungunya and Dengue Fever. Public officers and concerned citizens are pictured removing derelict and abandoned boats which have been emptied of water and other contents and stored. Householders and property owners are urged to conduct weekly inspections around their properties and empty containers and other receptacles which allow mosquito breeding.